Don’t Forget: Tomorrow is the Media Farmers Market! The Media Farmers Market is Rain or Shine! 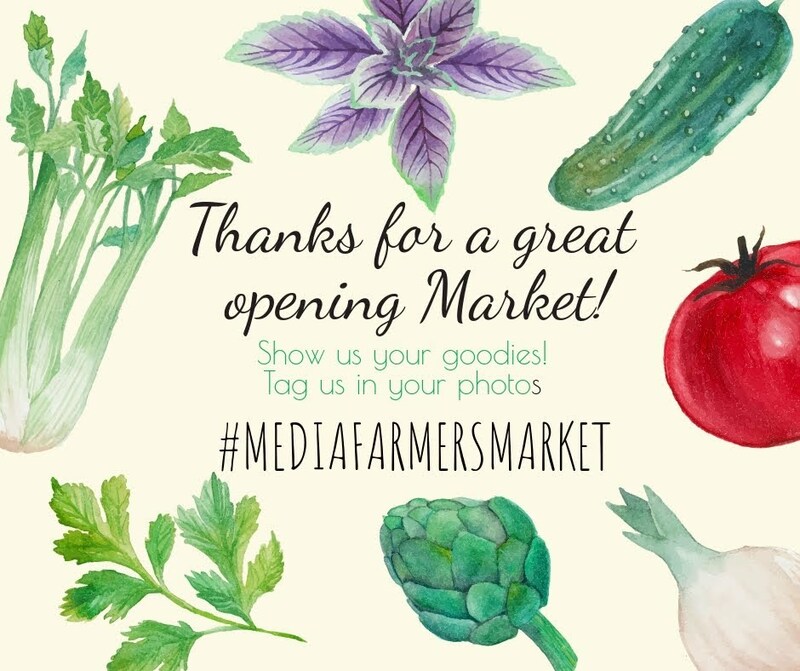 We’d like to extend a huge “Thank You” to everyone who braved the weather last Sunday to attend the re-opening of the Media Farmers Market. We were overwhelmed by your dedication and support, and we look forward to all that the season will bring! We just want to remind you that the Market is rain or shine, so the weather report for tomorrow won’t hinder the Market. We will be there! Throughout the season, in the case of dangerous weather (lightening, high winds) please check our Facebook and Instagram pages for updates on the status of the Market. 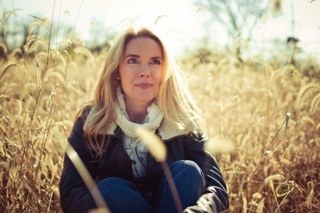 With acoustic guitars and passionate vocals, singer/songwriter Christine Kinslow spins out tales of country charm while crafting melodies that breathe life into real situations. A versatile performer, Christine puts her unique stamp on fan favorites, covering country and folk artists like Willie Nelson, Joni Mitchell, Bob Dylan and Alison Krauss, to contemporary artists like Tom Petty, Stevie Nicks, Prince, Jewel, and others; as well as her own singular compositions. 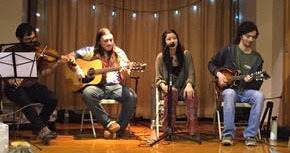 Christine’s original songs are mesmerizing tales of simple people with human stories to tell. Her unassuming charm and easy nature invite you into her world like a welcome guest. Once you’ve entered Christine’s world you won’t want to leave. Check out her debut EP “Summer Changes Everything” now available on iTunes, CD Baby and Amazon. Vendors are subject to change without notice. Are you interested in volunteering for the 2018 market? Contact us here for more information! Proud to partner with Farm to City, a Philadelphia-based business whose mission is to unite communities, families, and farmers year round through good locally grown food. Farm to City operates 13 farmers markets in Philadelphia and its suburbs. The Media Farmers Market Returns Sunday, May 13! The Media Farmer’s Market is proud to announce that the Market will be returning May 13! We have been working hard to find many great new vendors, as well as some of the old favorites, to bring you the best and freshest local fruits, vegetables, bread, meats, and much more! Join us for our opening market on Sunday, May 13 from 9am to 1pm on Edgemont St. between State and Front Streets. Meet our new Market Manager! Jennifer Camp comes from a background in theater and not-for-profit. She holds an MFA in Dramatic Writing from NYU’s Tisch School of the Arts. In her former life she was a playwright and her work was produced in many places including New York City and even right here in Philadelphia at the Walnut Street Theater. She is a ten year resident of Media Borough and absolutely loves Everybody’s Hometown. She lives here with her husband and two teenage children. In her spare time she enjoys playing tennis, traveling, and teaching playwriting for children and adults. She also works at the Chester Charter School for the Arts. Please say hello to her when you are shopping at the market. You can reach out to Jennifer at manager@mediafarmersmarket.com. Please say hello to her when you are at the Market! The Minor Adjustments open the Market! Local musical group The Minor Adjustments will be serenading Market shoppers to celebrate our opening day! They are an acoustic jam band featuring a diverse musical palette with influences from bluegrass, country, jazz, and blues while sticking to the simplistic roots of acoustic sound. Catch them on the State St. end of the Market 11:30-1! Proud to partner with Farm to City, a Philadelphia-based business whose mission is to unite communities, families, and farmers year round through good locally grown food. Farm to City operates 13 farmers’ markets in Philadelphia and its suburbs.